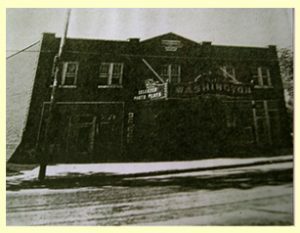 “THE WASHINGTON”, as it was called upon its opening on Jan 24th, 1927 is a historic vaudeville house that was twinned in 1978 and continuously featured movies throughout its duration. After many years of different representation and color schemes, its time has come to reclaim its former glory and give the people of Washington and the surrounding communities something to talk about. Currently, the old building is undergoing a change, by fixing all the problems it inherited after nearly 5 years of closure and a fine attention to the detailed work that is going toward its ongoing restoration. Upon opening, the theatre will showcase 1 side for a few weeks and then move to a full operation status by featuring both theatres, most likely by end of Spring into the Summer. Unlike most days of its previous existance, you will find the mood more upbeat and the prices more affordable. Also, the main goal we all want to have, is the complete satisfaction of our patrons and the energy that a true hometown theatre brings. All your friends and neighbors around, sharing in the experience of seeing a motion picture together and the surprises that await. We hope it unites everyone a little bit more and compliments the business activity downtown. The future possibilites are endless and it will be a constant work in progress as the building evolves over time. But you will find it hard to resist its old charm as it creates a new legacy filled with excitement. Thank you for your interest….